Tubal Cain is the Maker of Sharp Weapons and the ruling force of A’arab Zaraq on the Tree of Qliphoth. 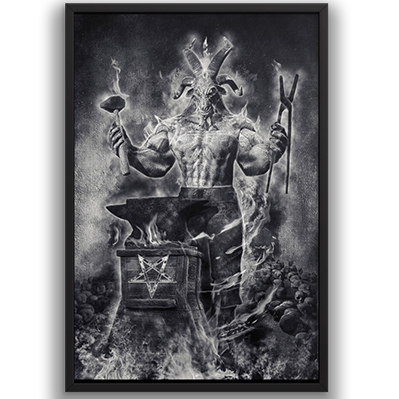 He is the patron of blacksmiths, crafts and metal works – the forger of all instruments of bronze and iron and the maker of weapons and tools of war and destruction. 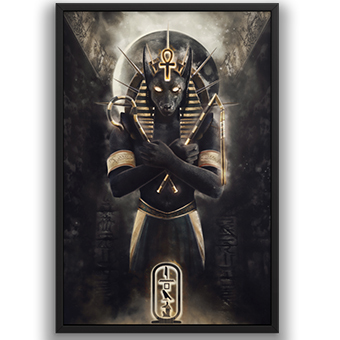 He is also an alchemist and holds the secret of transmutation of metals, and in a metaphorical sense – transmutation of the soul on the path of self-deification. Lilith is here depicted as a guide on the Path of the Night. She stands naked, showing that to enter the Other Side the adept has to leave the whole world behind, and she holds the dagger which the initiate uses as a tool of sacrifice and separation. She is accompanied by an owl, the bird of the night, and she walks through the waters and mists of the astral plane to guide the travelers to her lunar kingdom. This picture shows Lilith as the Dark Mother, the initiatrix of the Fire Snake (Kundalini) and the embodiment of the feminine current of Sitra Ahra. This is the force of transformation and transcendence through the ascent of the Serpent Force that is awakened and activated on the path of Lilith through rites of sexual alchemy. This portrait shows the Scarlet Goddess (Lilith-Babalon) as the initiatrix into rites of pain and pleasure, life and death. Standing in the circle of skulls, she holds the chalice with the elixir of transformation and the dagger representing the concept of sacrifice on the path of the Dark Feminine. In Luciferian Tradition, Mephistopheles is the initiator of pacts with the Devil and assistant in rites of magic. 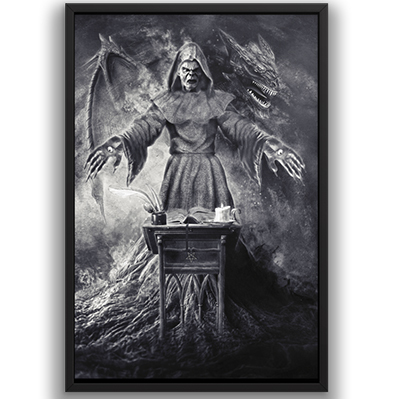 As a spirit related to Lucifer, he embodies the concept of the Adversary in the myth of Faust. In Western Esoteric Tradition, he is the spirit of eternal progress and movement, acting against cosmic order and inspiring the desire of transcendence in the heart of man. This portrait shows Lilith and Samael – the Dark Goddess and God of Sitra Ahra. Holding the chalice with the elixir of immortality, Lilith stands in Samael’s embrace, joined in a sexual union through the Serpent of Chaos – Leviathan. The Hindu goddess Kali is the embodiment of Vama Marga – the Left Hand Path. She is the destruction, the devouring time, and the cosmic mother who slays her children and swallows them so they can be reborn again from her dark womb. 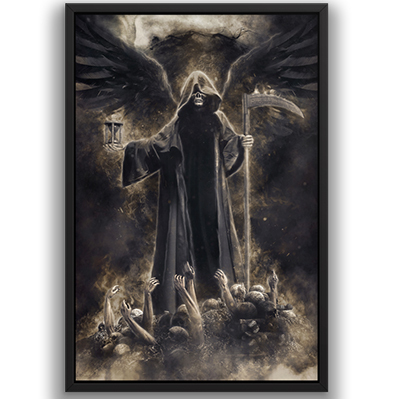 She personifies death, fear and the consuming aspects of reality. Her rites are the works of liberation of consciousness and transcendence through death. 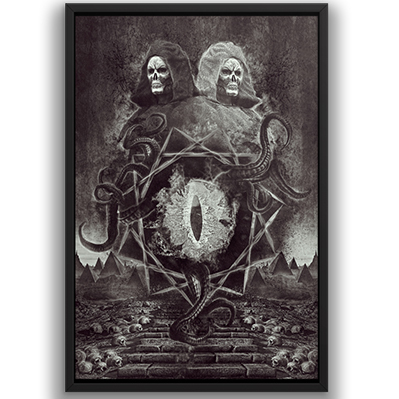 The Abyss is the Qliphothic manifestation of the hidden Sephira Daath-Knowledge. It unites all Qliphothic realms and serves as a point of transition from one side of the Qabalistic Tree to the Other. In this image we see Belial as the guardian and the lord of the Gate of Knowledge, watching over the bright and the dark side of the tree through the Eye of the Dragon. 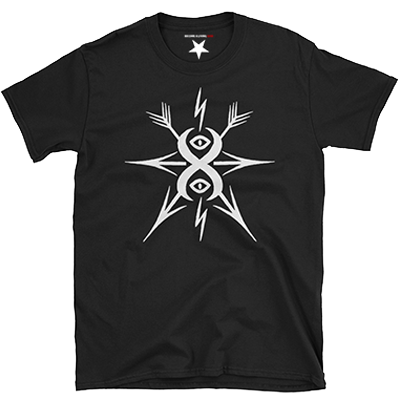 Demon sigil t-shirt of Shemyaza: The Master Key by black magician J.S. Garrett. Wear a demon sigil to invoke magick of your favorite spirits in ritual and everyday life. 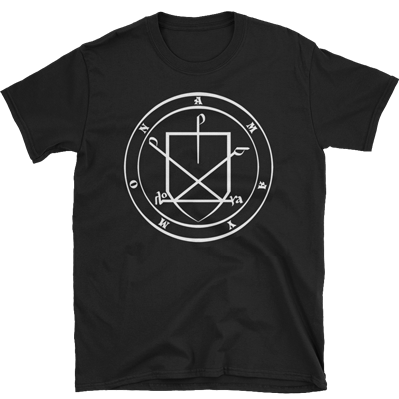 Demon sigil t-shirt of Amaymon the Black Sun, the Second Demonic Gatekeeper with Lucifer. Wear a demon sigil to invoke magick of your favorite spirits in ritual and everyday life.